FYSHE, THOMAS, banker; b. 3 Oct. 1845 in Haddingtonshire, Scotland; m. 19 June 1878, in New York City, Avis Annie Crawford Connybeare Leonowens, daughter of Thomas Leon Owens and Anna Harriette Edwards, and they had three sons and three daughters; d. 26 Nov. 1911 in Montreal. At age 15, after attending school in Prestonpans, Scotland, Thomas Fyshe joined the Bank of Scotland as an apprentice in the town of Leith (Edinburgh). Within four years he had been promoted to chief clerk of the branch and then had been sent to Glasgow. When he was 19 he left Scotland and took up a post with the Birmingham Joint Stock Bank, where he remained for three years before deciding to work abroad. His first choice was to go to India with one of the banks there, but economic conditions stood in the way. He then applied to the Bank of British North America for a position in either the United States or Canada. From 1867 Fyshe worked for this bank in Kingston, Ont., Montreal, Toronto, and New York. In late 1873 or early 1874 he resigned to go into the exchange and stockbrokerage business in New York, a venture in which he had little success. He subsequently set himself up, quite lucratively, as a curb broker in sterling. Then William Cunningham Menzies, the cashier (general manager) of the Bank of Nova Scotia in Halifax, whom Fyshe had met in New York, offered him the position of agent at the bank’s Saint John branch. Fyshe at first declined but, reflecting that the business in which he was engaged involved “more of a competition with legs than with brains,” he accepted and joined the bank on 6 May 1875. Within a year Menzies had retired because of failing health and Fyshe became cashier, a position he would retain until 1897. Fyshe experienced little or no interference from his board of directors and was largely responsible for the bank’s lending policy. Initially there were no hard and fast rules. During the Atlantic region’s commercial depression of the early 1880s, however, problem accounts reached epidemic proportions, so Fyshe attempted to systematize the bank’s policy. His philosophy was simple and reflected his Scottish banking background: “The main condition of success in banking,” he observed, “is not large profits but small losses.” In a remarkable document of 1885 entitled “Special instructions to agents in lending the bank’s money and getting it back again,” branch managers were urged to avoid accommodation paper, renewals, past due bills, and unsecured overdrafts. “The Banker as a rule trusts too much to his Customer . . . ,” he commented. “The proverb ‘give him rope enough and he will hang himself’ fitly illustrates the tendency of the average trader to get into difficulty when he is provided with unlimited supplies of money.” The bank would discount only those bills that represented real transactions involving real goods, cash credits or overdrafts would be turned over quickly, and all loans would be for the short term. Like most Scottish bankers, Fyshe was reluctant to have his institution’s loans become fixed assets and therefore avoided long-term transactions. Whether a cotton mill, sugar refinery, steel company, or tannery was able to borrow from the Bank of Nova Scotia was largely dependent upon the quality of the endorsers, the amount of security provided, and the prospect of success in the industry. 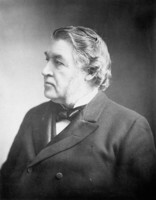 Not content with putting his own house in order, Fyshe wrote in 1887 to the minister of finance, Sir Charles Tupper, outlining what he considered to be the main factor in the continuing crisis in the local economy, namely government savings banks, 90 per cent of which were located in the Maritime provinces, a legacy of pre-confederation days. Chartered banks in the region were, he claimed, at an immense disadvantage compared with those in other western countries and especially with their Canadian counterparts. “The chartered banks of the lower provinces cannot efficiently exercise their proper functions and are consequently unprofitable to their shareholders and inadequate to the needs of the country. In a country where the people are thrifty and saving, industry languishes because it is not nourished and vivified by the savings of the people.” Fyshe found that there was $12 per capita of savings in Maritime chartered banks, compared with $35 in Ontario and Quebec, but $19 per capita in government savings banks compared with under $6 in Ontario and Quebec. 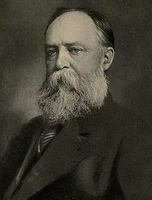 Since 1885 Fyshe and others, notably Sir Richard John Cartwright of the Liberal party and Daniel Robert Wilkie of the Imperial Bank of Canada, had been waging a campaign against the savings banks, arguing that both the $3,000 limit on deposits there and the rate of interest paid were excessive. They succeeded in 1886 in having the maximum on deposit reduced to $1,000 and the following year in imposing a $300 limit on annual deposits as well. The savings banks’ interest rate, however, remained at 4 per cent until 1889, when it dropped to 3 1/2. Still dissatisfied, Fyshe and others pushed for a further reduction to 3 per cent, which took place in 1896. As a result of Fyshe’s forbearance and good judgement, the Bank of Nova Scotia emerged relatively unscathed from the mid 1880s at a time when less well-managed banks foundered. Although his training in Scotland had made him basically conservative, he was clearly not afraid of new ideas and improvisation. As his circular of 1885 had urged, he withdrew the bank’s support from all but the best accounts, preferring to invest surplus cash in less risky railway securities in the United States and Canadian provincial and municipal bonds. In this respect he was an early innovator among Canadian bankers. 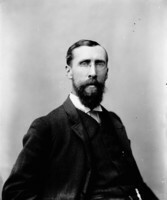 For the benefit of both the bank and its employees he introduced an officers’ mutual guarantee and savings fund in 1886 and a pension plan in 1888, the establishment of which, he later noted, “tended to create a loyalty to the institution and an esprit de corps quite noticeable.” He concerned himself as well with proper training for employees, adequate remuneration, and promotion within the bank. Under his management, moreover, the Bank of Nova Scotia was the first Maritime bank to open in the West Indies, the Canadian west, and the American Midwest. The depression of the 1880s left an indelible mark on the Bank of Nova Scotia. Even after weathering the worst of its impact, Fyshe was wary of continuing to do business in the Maritimes. In 1882 the bank had opened a branch in Winnipeg. It was closed in 1885 but, despite the many problems associated with doing business in a frontier environment, Fyshe expanded to Minneapolis, Minn., that year. This expansion was followed by the addition of branches in Montreal (1888), Kingston, Jamaica (1889), Chicago (1892), and St John’s (1894). Fyshe also continued to hedge the bank’s lending activity with an increasingly sophisticated investment portfolio. By 1890 these holdings, which were about three times the average of Canadian banks, amounted to over $850,000; five years later they were over $2 million and, along with the bank’s increasing business in the American Midwest, accounted for an enormous proportion of its profits. The bank was thus able to avoid the heavy losses incurred by other Maritime institutions in the same period. Between 1894 and the turn of the century the bank would open six branches, in Toronto, Boston, Paspébiac, Que., Quebec City, and Almonte, Ont., and reopen the Winnipeg branch. The opening in Toronto would prove auspicious, for the bank’s general office would relocate there in 1900. At the same time that the bank was moving beyond its roots, Fyshe continued to restrict its business in the Maritimes to only the “best paper.” In a circular to the bank’s agents in 1893 he noted: “The Bank’s loans in the lower provinces have increased nearly $400,000 since May 25. All this money has had to be brought here from Chicago where it might have been getting 10% or more.” In another circular three years later he commented on the “large expansion of loans in the Maritime Provinces during the last two years, an expansion altogether out of proportion to the healthy growth of trade.” By the time Fyshe left the Bank of Nova Scotia in 1897 the bank had 6 branches outside the Maritimes, accounting for $4.9 million in loans and $1.5 million in deposits, compared with 24 branches in the Maritimes, accounting for $6.8 million in loans and $7.1 million in deposits. From the time of Fyshe’s arrival in Halifax at least seven Maritime banks had failed, and another one, the Union Bank of Prince Edward Island, had been absorbed by the Bank of Nova Scotia in 1883. Fyshe had recognized the forces at work which would result in his, and the Merchants’ Bank of Halifax (later the Royal Bank of Canada), being the only Maritime banks to survive to the present day. In 1890 Fyshe played a prominent part in shaping the decennial revision of the Bank Act, along with Byron Edmund Walker* of the Canadian Bank of Commerce, the bankers’ main spokesman, Edward Seaborne Clouston of the Bank of Montreal, and George Hague of the Merchants’ Bank of Canada; by appealing to the Privy Council over the head of the minister of finance, George Eulas Foster*, the bankers managed to circumvent Foster’s recommendation of a fixed cash reserve against bank-note issues [see John Mortimer Courtney]. Five years later Fyshe appeared before a committee of the Nova Scotia House of Assembly to present the bankers’ case against proposed changes in the municipal assessment law. Among the founders of the Canadian Bankers’ Association in 1891, he served as one of its first vice-presidents in 1892–93, sat on the council from 1893 to 1904, and was president in 1895–96. Fyshe resigned from the Bank of Nova Scotia in June 1897, at age 52, and was succeeded by Henry Collingwood McLeod. He moved to Montreal to become joint general manager, with George Hague, of the Merchants’ Bank of Canada. He subsequently became general manager, but he resigned in 1905 owing to disagreements with his board of directors. According to William Maxwell Aitken*, Fyshe’s former colleagues at the Bank of Nova Scotia, McLeod and James Berwick Forgan, offered to “give him all the money he wanted to buy control of the Bank,” a proposal he declined. Commenting on Fyshe’s departure, his fellow banker William Donald Ross remarked, “I cannot for the life of me see why any Bank would want to get clear of the best banker Canada has ever seen and one who has brought the Merchants Bank from the edge of collapse to a position where it is now regarded as one of our strongest and best banks.” Fyshe lived quietly in retirement until May 1907 when he was appointed to the royal commission on the civil service. Its report in early 1908 denounced political patronage in the bureaucracy and recommended the establishment of an independent civil service commission, which was set up the same year Sometime in 1908 Fyshe suffered a paralytic stroke and he died after a second seizure in 1911. He had been predeceased by his wife in 1902. Their domestic life seems to have been somewhat unusual. In the raising of the family Avis appears not to have played as large a role as her formidable mother, who joined with Fyshe in subjecting the children to incessant home-drill. For five years between 1888 and 1893 Fyshe was left alone in Halifax while the family lived in Germany to be educated. In contrast to Anna Leonowens, neither Fyshe nor his wife engaged in any social activities. Mrs Fyshe may have been Eurasian in appearance, and it is possible that she was avoided in Halifax. Thomas Fyshe’s publications include Letters on municipal taxation (Halifax, 1880); Proposed amendments to the local assessment law: argument before the committee on bills on behalf of the banks (Halifax, 1895); and two articles in the Canadian Bankers’ Assoc., Journal (Toronto): “The growth of corporations; the beneficial results to society which will probably accrue from it, and its effect on credit and banking,” 2 (1894–95): 197–203 and “The organization of labour,” 15 (1907–8): 68–86. Various records in the Bank of Nova Scotia Arch., Toronto, were consulted in the preparation of this biography, esp. biog. files, cashier’s corr., and bank circulars. House of Lords Record Office (London), Hist. Coll., 184 (Beaverbrook papers), ser.A, box 26, Aitken to W. D. Ross, 5 Jan. 1905; Ross to Aitken, 9 Jan. 1905. NA, RG 19, 3038, no.2893. Gazette (Montreal), 27 Nov. 1911. Monetary Times (Toronto), 2 Dec. 1911: 2317. The Bank of Nova Scotia, 1832–1932 ([Toronto, 1932]). D. L. Bunbury, “From region to nation: government savings banks in the Maritimes, 1824–1900” (phd thesis, Dalhousie Univ., Halifax, 1994); “The public purse and state finance: government savings banks in the era of nation building, 1867–1900,” CHR, 78 (1997), forthcoming. 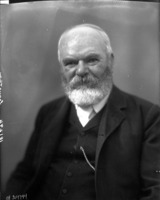 H. D. Burns, “Thomas Fyshe, 1845–1911,” Canadian Banker (Toronto), 58 (1951): 77–83. J. B. Forgan, “In memoriam,” Canadian Bankers’ Assoc., Journal, 19 (1911–12): 96–97. J. D. Frost, “The ‘nationalization’ of the Bank of Nova Scotia, 1880–1910,” Acadiensis (Fredericton), 12 (1982–83), no.1: 3–38; “Principles of interest: the Bank of Nova Scotia and the industrialization of the Maritimes, 1880–1910” (ma thesis, Dalhousie Univ., 1979). Duncan McDowell, Quick to the frontier: Canada’s Royal Bank (Toronto, 1993). E. P. Neufeld, The financial system of Canada; its growth and development (Toronto, 1972). Joseph Schull and J. D. Gibson, The Scotiabank story: a history of the Bank of Nova Scotia, 1832–1932 (Toronto, 1982). James D. Frost, “FYSHE, THOMAS,” in Dictionary of Canadian Biography, vol. 14, University of Toronto/Université Laval, 2003–, accessed April 22, 2019, http://www.biographi.ca/en/bio/fyshe_thomas_14E.html.